You are at:Home»Food»PIZZA! Come and get it! in the historical centre of Naples! Here you can find the best Neapolitan pizza, the best baba, the best sfogliatella, the best limoncello … just paradise food! 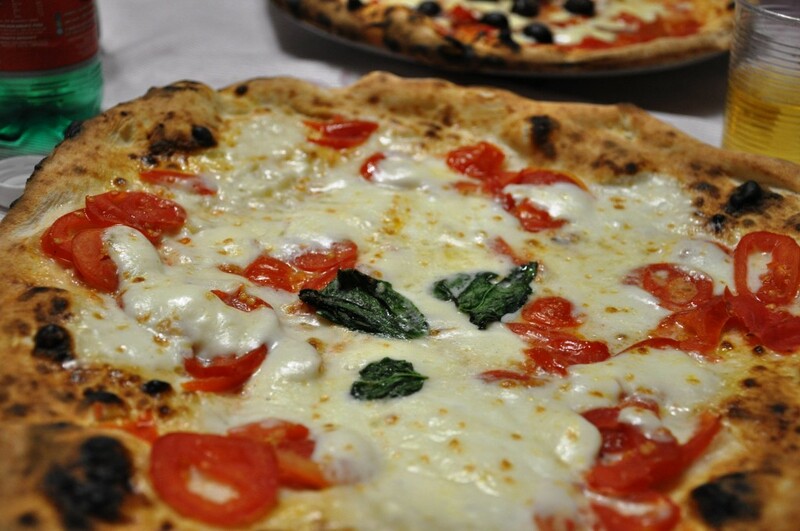 If you want a pizza, you can choose among over twenty pizzerias in this single area of Naples! Start your pizza tour from S. Domenico square where there are two pizzerias. “Pizzeria dell’Angelo ” is the most attracting, in fact you can also have special pizzas with the outer parts stuffed with everything you want: cheese, mushrooms, mozzarella, tomato, potatos, ham, bacon…everything! But if you have a delicate palate, Pizzeria Petrucci is for you. This pizzeria was born after the restaurant Petrucci, one of the most famous in Naples with also one Michelin star. Then walk along Tribunali street: now it’s difficult for the high number of pizzerias but everybody will be satisfied! “Sorbillo” is the best for those who want a large and tasty pizza. The problem with it is the long queue before being let in. A group of foreigners went to Sorbillo directly from the airport! But I can also recommend “Pizzeria Di Matteo”, just a little further. Here, in addition to pizza, there are a lot of mixed fries like French fries, or little omelette ( the Napolitan name is ” frittatina”, it is with pasta, peas, meat and cheese cream ) and crocchè with mozzarella and potatoes. Absolutely delicious to eat while waiting for your pizza. Then we have to talk about “Pizzeria Da Michele”, where Julia Roberts has her pizza in ” Eat Pray Love”: it’s very very famous. Here you can have only margherita and marinara pizzas… but both incredibly good. Last but not least there is the Pizzeria ” Concettina ai tre santi”, close to the National Museum of Naples and also close to the metro station and bus station. I discovered this not long time ago, and when I tried it I thought …” where have you been all this time? ” ! Now what else to say about pizza? Come and get it!